Aditya Hridaya Stotra is a hymn dedicated to Surya (Sun God) in Valmiki Ramayana. Aditya Hrudayam Stotram consists of 31 verses and is found in the 107th chapter of Yuddha Kanda of Ramayan. It was narrated to Sri Ram by Sage Agastya to energize him in the battle against Ravana. Legend has it that Sri Ram during the course of war against Ravana was overpowered by depression. This dejection proved costly as the demon army began to advance. Devas (demigods) and saints who were witnessing the battle was puzzled at this sudden disinterestedness on the part of Sri Ram. Sage Agastya realized the seriousness of the situation and taught Sri Ram the Aditya Hridaya Mantra. 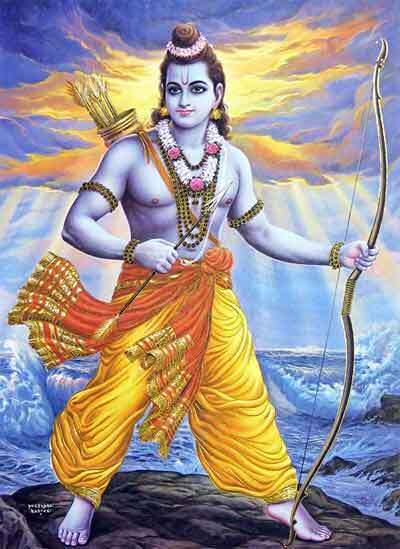 When Sri Ram chanted Aditya Hridaya Mantra, he was re energized and resumed the fight with vigor.